There are important historical artifacts in the world of horology, and then there’s this—the alpha model; the genesis of perhaps the most iconic watch of all time. 1953 saw Rolex at the start of their first true golden age and it was the Rolex Turn O Graph 6202 that can stand up and take the lion’s share of the credit. It was the model that provided the foundation on which the brand would build their phenomenal success, the source of much of the vital DNA that would be passed down to the new breed of professional watches. The Rolex Turn O Graph 6202 is the watch that laid the foundation for future generation. Debuting at Baselworld in that year, the ref. 6202 can best be described as the pre-Submariner, in the same way that the Daytona’s ground works were laid with the ref. 6238. Most of the elements that made those pieces what they are today are present, bar the name. In the case of the Turn-O-Graph, set it down next to a modern-day Submariner and not even the most ardent creationist could deny there’s evolution at work. The simple, minimalist lines, the black dial with its signature hour markers, the workmanlike yet elegant Oyster bracelet—but most of all, that inimitable rotating bezel. The Turn-O-Graph then, is the first serially-produced offering to sport the innovation, game changing addition that was adopted by not only the Submariner, but several other of the crown’s most beloved and successful models. 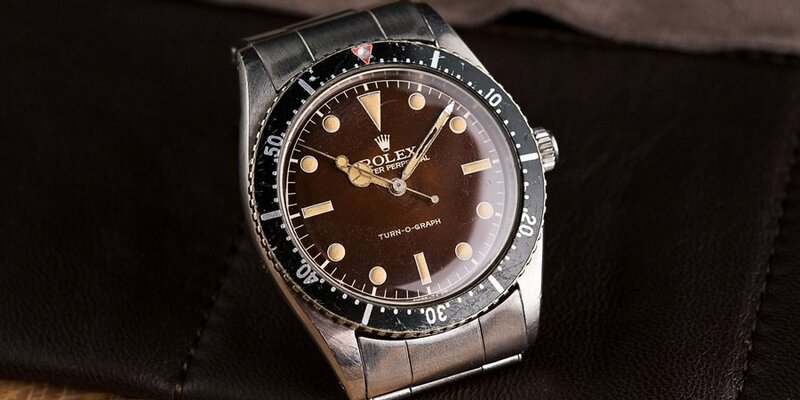 The Rolex Turn O Graph 6202 was used to develop future lines of Rolex models. It was Rolex that introduced the concept of the out and out tool watch—the idea that the usefulness of a piece should extend beyond its role as an item of jewelry that just happens to tell the time. The rotating bezel on their fledgling Turn-O-Graph was the key element that opened up a new level of practicality for a host of demanding occupations. Apart from helping divers keep track of their elapsed time underwater, the feature found a perfect utility on the newly-released GMT-Master. With a bi-color border, it served as an elegant way for international travelers to visualize whether their eventual destinations were waiting for them in the daytime or the night. However, what we now think of as Rolex’s flagship pilot’s watch was still two years away when the ref. 6202 made its debut. Before its launch, it was the Turn-O-Graph that was used by many of the world’s aviation elite, and its reputation was given a significant boost when it became the official timepiece of the USAF’s aerobatic squadron, The Thunderbirds. Never behind the door when it comes to product placement, Rolex renamed the Turn-O-Graph as the Thunderbird in the North American market from that moment on. A more surprising subject of the ref. 6202’s influence is the very first of the Milgauss line. While today’s models are the epitome of unembellished, three-hand simplicity, more closely resembling the Oyster Perpetual or Air-King series’, the original from 1958 looks uncannily like that initial Turn-O-Graph, finished off with a honeycomb dial and lightning bolt seconds hand. It can be hard to see the Milgauss in this image. 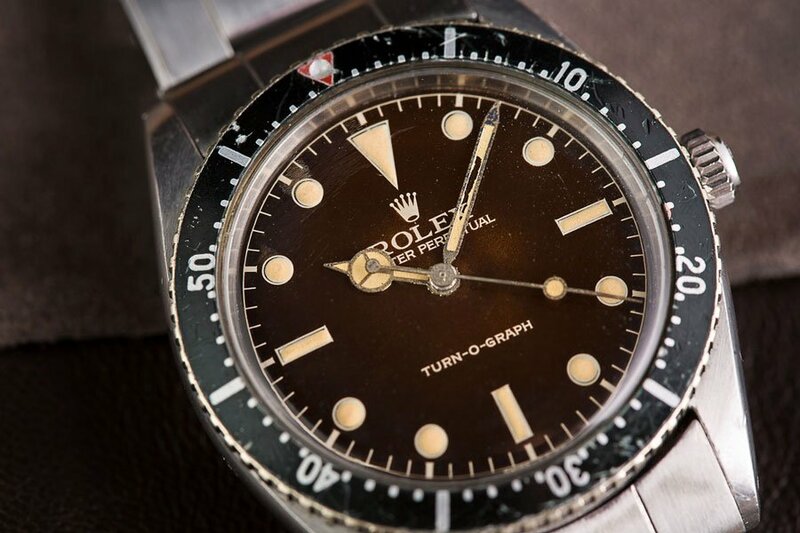 Before Rolex became the rigidly efficient, vertically integrated entity we know it as today, they were not averse to releasing a variety of models with a shared reference. You can find several different dial and metal configurations among the 1,000 or so examples of the ref. 6202 made in its 12-month production run. Alongside those, a tiny number were released under the Monometer name, which were identical in every other way. Available in a choice of the traditional steel or all-yellow gold cases, the Turn-O-Graph also pioneered another movement in being the first Rolex released in their own Rolesor, a two-tone blend of both. Although the brand had patented the name in the 30s, by the time the ref. 6202 emerged 20-years later, the watch buying public still didn’t appear to be ready, and only a small handful found their way out of the factory. It would take a further two decades before the world finally caught up with the luxuriously practical allure of Rolesor, when a range of Submariners and GMT-Masters showcased its go-anywhere aesthetic. What are your thoughts on the Rolex Turn O Graph 6202? Comment below. The effect the ref. 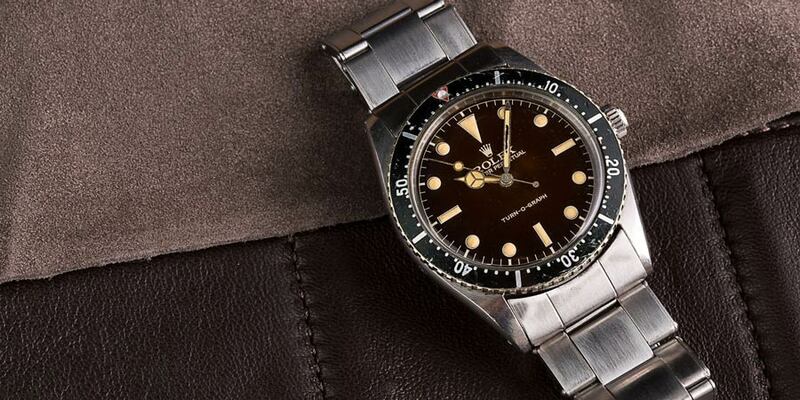 6202 had on the overriding design language of Rolex as a brand is completely disproportionate to its level of fame. This experimental, innovative piece, with features that would go on to influence watchmaking for generations, is so unsung that many otherwise knowledgeable fans are oblivious to its existence. 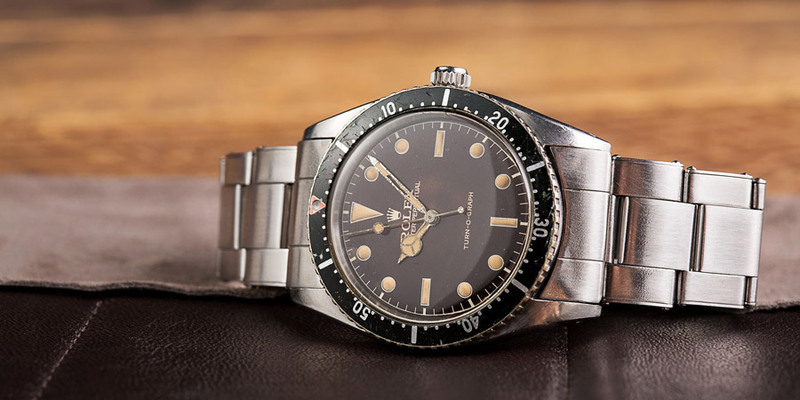 With that comes some good news, and prices for vintage examples of the model that started it all are far lower than the equivalent era Submariners, with an almost identical appearance. Its blink-and-you’ll-miss-it lifespan makes it a tricky one to track down, but it is a mission that could pay dividends in the future. Rolex collectors are turning more and more to the pieces that marked the very start of a model’s evolution, and the first ever Turn-O-Graph was undoubtedly the birth of a legend.